The quarter-hour syndicated daily program was a "transcribed get together which has been arranged for us by your friendly neighbors who bottle Coca-Cola". A soft drink is soft because it does not contain alcohol like hard drinks do. For that matter, a soft drink is any beverage which is not hard, a fruit juice, coffee or tea, milk, or plain water. So-called sports drinks and fruit punches (which may, but probably do not, contain actual fruit juice) fall into the category of soft drinks, but most popular soft drinks are made with effervescent or sparkling water. This sparkling water is sometimes referred to as soda water, although the actual process is carbonization. The effervescence lends pressure to the vessel when the soft drink is stored in a sealed container, and we hear the pressure being released with a satisfying pop when the bottle or can is opened. These properties led to a small conflict around the country over what to call soft drinks. Depending on where you live, you may call it soda, pop, or soda pop. 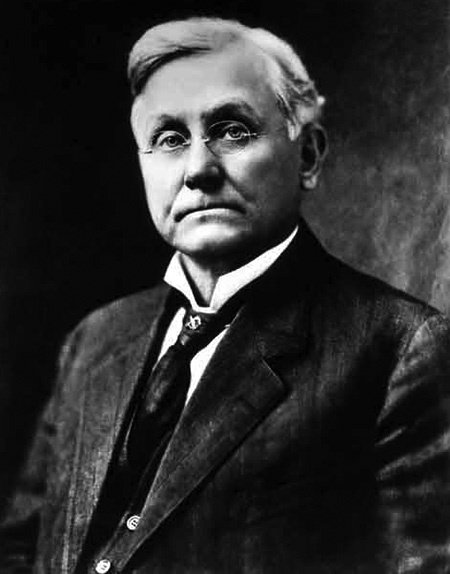 Coca-Cola was invented by Georgia pharmacist George Pemberton, a former Lt. Colonel in the Confederate Army. Pemberton was not trying to create a refreshing drink, he was searching for an elixir that would help him break his addiction to morphine, which he was first given after suffering a sabre wound at the Battle of Columbus in 1865. The formula was named for two of its ingredients, kola nuts and coca extract. Coca leaves are used to manufacture the drug cocaine, and at one point Coca-Cola contained a small amount of the drug. After kicking the morphine habit, Pemberton discovered that his customers were enjoying the elixir more as a refreshing drink, so he began making and selling the syrup base for Coca-Cola to other pharmacies and soda fountains. Eventually, the business was sold to Asa Candler, who was an even more effective marketer than Pemberton. To get the company off the ground, Calder invented the modern shopper's coupon. He handed out thousands of tickets which would entitle the bearer to receive a free glass of Coca-Cola anywhere the drink was sold. 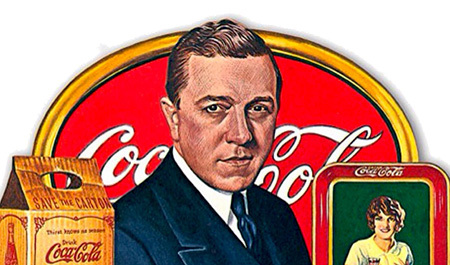 Coke was almost exclusively a fountain drink until a pair of entrepreneurs from Chattanooga, Tennessee opened the first Coca-Cola bottling plant. In 1941, then Coca-Cola Company president Robert Woodruff decreed that no matter where they were in the world, a person in uniform would be able to have a Coke for just five cents, no matter how much it cost the company to get it to him. To fulfill this decree, 148 Coca-Cola employees were designated Technical Observers with the military, and would eventually supervise 64 bottling plants around the world, distributing more than 5 billion bottles of Coke. "TO's" were given a uniform and officer's rank and pay, two TO's gave their lives in the line of duty. Remote areas in the Pacific Theater presented unique problems for the TO's, just as it did the GIs. One solution was the "jungle fountain", a portable soda fountain combined with an ice machine which could be transported by truck to any location. Tragically, a ship carrying 150 of the jungle fountain units was torpedoed by a Japanese submarine, but replacements were soon on their way to the front. After the turbulent intensity of the War years, the Coke Club radio program was a decidedly relaxed affair. The quarter-hour syndicated daily program was a "transcribed get together which has been arranged for us by your friendly neighbors who bottle Coca-Cola". The program was hosted by singer/film starlet Leah May and starred crooner Morton Downey. "The Irish Nightingale", tenor Downey's popularity peaked during the crooning craze of the late 1920's, when his high and heady tones could have been mistaken for a female voice. He lowered his register as more "manly" styles became more popular, but his voice lost nine of its rich creaminess. He began singing on the air soon after opening the Delmonico nightclub in New York in 1930 and was voted "Radio Singer of the Year" in 1932 while hosting The Camel Quarter Hour nightly broadcast. Just before starting Coke Club, Songs by Morton Downy had transferred from the Blue Network to Mutual over issues concerning transcription (it was not allowed on NBC). His oldest son was TV personality Morton Downy Jr.
Also appearing on the program was Leah May. After a failed high school romance in her native Norfolk Virginia, Leah May traveled to Hollywood with her mother. There, an uncle helped to arrange for an audition with Phil Harris, who she began singing for at the age of 16. She also worked for the Tommy Dorsey Orchestra before beginning her film career, which included the short Going Spanish (1934) which was the film debut for an up and coming comic named Bob Hope. 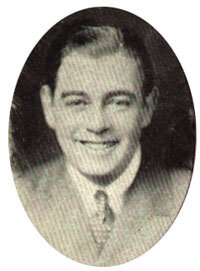 Music for Coke Club was provided by Jimmy Lytell and his Orchestra. Lytell would go on to make records with Connee Boswell and has been called "One of the most underrated clarinetists in jazz history". Be the first to comment on "Coke Club"